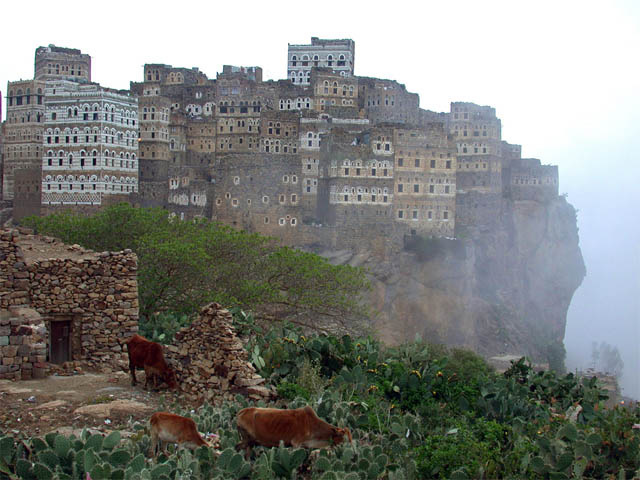 Comfortable satisfaction over my world view imploded with the discovery of Socotra Island, Yemen. Decades of exploration, reading, education and wonder – nary a whisper of Socotra’s existence, let alone the unfathomable landscape. 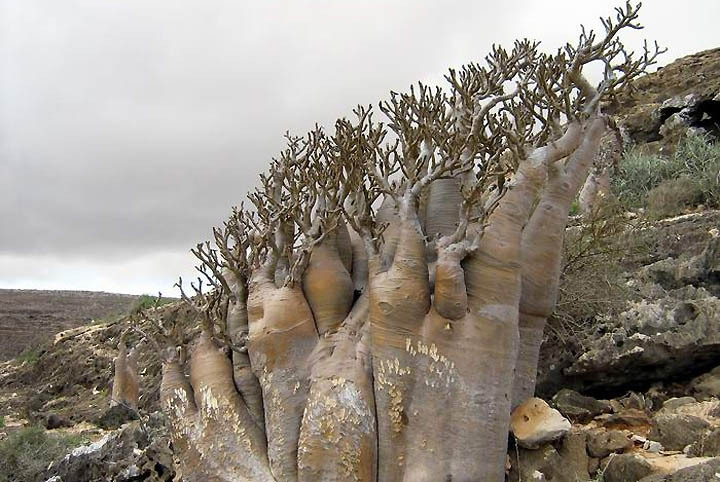 Socotra, the largest of four islands in the Indian Ocean archipelago of Socotra rests 240 Km. east of the Horn of Africa, and 380 Km. south of the Arabian Peninsula. 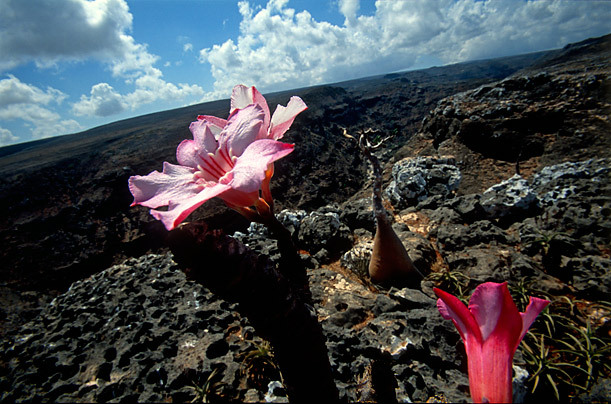 Isolated from Africa for seven million years, a third of plant and animal species are endemic. Don’t mistake geographical isolation with quirks of the Galapagos, adjust your thinking to M.C. Escher meets Dr. Seuss. 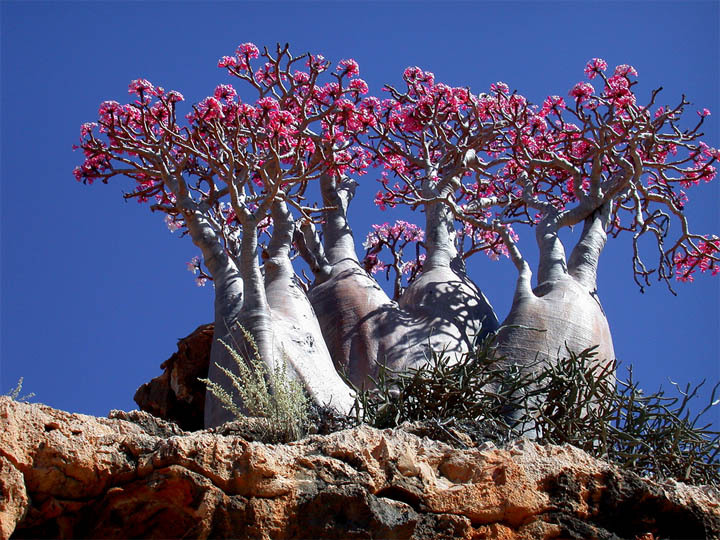 In 2008 UNESCO recognized Socotra as a World Natural Heritage Site. According to Wikipedia, archaeological evidence supports human settlement before the 1st century AD. In 2008 a Russian expedition claims to have found stone tools used by early hominids. 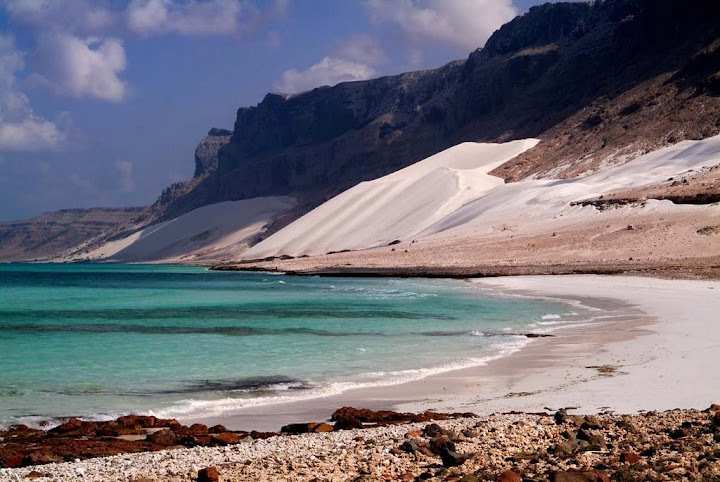 Not sure how I missed Socotra, but know this is a place I have to see for myself. Jordan’s ancient treasure Petra, established around 300 BCE as the hub of Nabataean culture – a ponder equally mind blowing. UNESCO added it to the list of World Heritage Sites in 1985, saying “one of the most precious cultural properties of man’s cultural heritage”, Smithsonian Magazine named it one of the 28 places to see before you die. To understand what all the fuss is about, ponder this – Forget computers, engineers, core samples and heavy machinery. Forget frames of reference or standardized construction techniques. Walk into a valley enclosed by steep limestone cliffs – announce you’ve found the perfect home. Don’t quarry those cliffs, use basic stone cutting tools to carve structures into them. Water? No problem, sure it’s a desert but you know of a spring – channel that water into the city, create cisterns to catch rainwater, and above all a massive pool for bathing with a pretty garden. How was this even possible? The “Monastery” at Petra stands almost 150 feet tall. The magnitude of a feat flawlessly executed over 2000 years ago with nothing but hand tools is astounding. As if my knees weren’t weak enough, learning how they tackled cliffs epitomizes ancient wonder. Petra was built from the top down – before any semblance of structure took place, stairs were carved into the rock face. Starting at the top, workers cut away stairs as they made their way down, from one side to the other, less than half an inch difference. I don’t care if we have all the answers, we have Petra. Stoic fragments of civilization lost dot the planet – places fantastic enough to spawn a sub culture of alien conspiracy theorists. Ancient history is like that. Staggering accomplishments, unimaginable by today’s standards are difficult to process. When ancient mysteries confound to the point alien intervention trumps humanity, I practically purr with delight. A satisfying ancient wonder – we know who built it, approximately when, how they transformed landscapes, without having to sacrifice brain freezes associated with Petra’s enormity or physical execution. Petra serves wonder just the way I like it – sitting politely for all the world to see, tossing occasional clues, not caring if we ever solve the riddle. A link to UNESCO and Petra….. In my mind Timbuktu resided on a book shelf, along side Shangri La and El Dorado. I saw it as a place born in the mind of Edgar Rice Burroughs, nothing more than a fictional backdrop for characters like Allan Quartermain. Unlike King Solomon‘s Mine Timbuktu lacked biblical reference, escaping Hollywood treatments featuring Charlton Heston. Instead it was relegated to a euphemism for the ends of the earth, it became synonymous with expressions like “when pigs fly” or “when hell freezes over”. Timbuktu is far from fictional, and finds itself in a rather tough spot. Located in Mali, this UNESCO World Heritage Site is on the endangered list. Timbuktu was the centre of Islamic teaching in Africa during the 15th and 16th centuries. Located on the edge of the Saharan trade routes, it was believed to have housed 100,000 people in the glory days of the Askia dynasty. Of concern to UNESCO are the Sankore, Djingareyber, and Sidi Yahia Mosques. Urban development, climate, and now war threaten to impact these historical treasures beyond repair. My ponder is not that Timbuktu is tangible, my thoughts are stuck on Islam and what went wrong. Built during the golden age of Islam, Timbuktu epitomizes a society built on science and knowledge. Europe wallowed in the Dark Ages, while Islam flourished. Of course there was , violence, war, and conquest; human nature is unavoidable. The sad fact is; these once great centres of science and innovation have disintegrated into rigid, closed minded societies, engulfed in religious fervor to the exclusion of all else. The cradle of civilization is imploding, and it appears history has taught us nothing. Timbuktu exists for now, not as it was but as it has become. I liked it better when it was on my book shelf.